If you use multiple file locations, you would want to have shortcuts to those locations. It will allow you to access those locations faster. Autodesk products have places at the left sidebar in your open/save dialog box. You can add/remove folder locations there. This feature is not a Windows feature. This is only applicable for Autodesk products. You can easily add folders to that sidebar. In open dialog box, browse to folder you want to add to places. 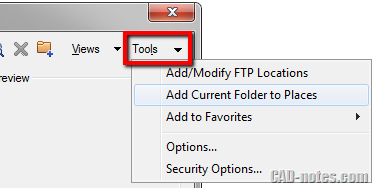 When the dialog box show the folder, click tools> Add current Folder to Places. 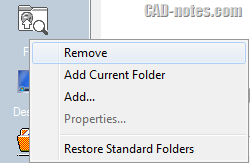 You can find AutoCAD tools menu at the right top corner of the dialog box. 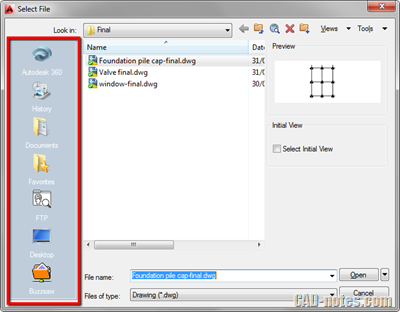 You can find Revit tools menu at the bottom left of the file dialog box. Below places. You can remove folders from places by right clicking the folder and choose remove from context menu. 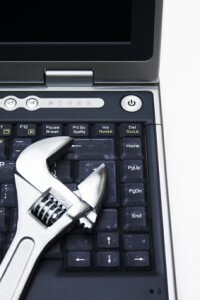 You can also restore the standard folder list by choosing restore standard folders. There is one special folder in places: favorites folder. If you have many frequently accessed folders, you can place more folders here. You can add your folders to favorites by choosing add to favorites from tools menu. Now you can access many folders quickly by managing folders in places and favorites. I really like this feature and use it frequently. I wish other Windows applications have it!